Early this morning, the team of Dr. Allen Gabriel anxiously embarked on what will be their fourth visit to the Haitian capital Port Au Prince and Hopital Adventiste since the nation was ravaged by an earthquake back in January 2010. Accompanied by Dr. Cassie Gabriel and three new members, each are excited and eager to be returning to Hopital Adventiste. This visit will be extra special for the courageous women of Haiti thanks to the Gift of Lift program and Pink Lemonade Project. Bras of all shapes and sizes will be distributed thanks to the overwhelming support of our community. Special thanks to everyone who has so generously contributed to this amazing cause. The gift of a simple bra brings with it greater gifts…confidence and smiles! 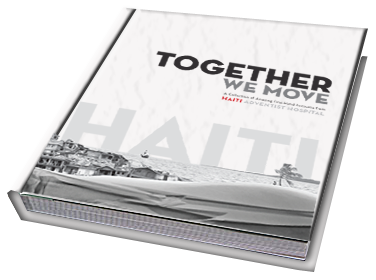 Haiti: Together We Move Book NOW AVAILABLE! In Haiti: Together We Move, readers will be guided through the events that transpired at Haiti Adventist Hospital in the 12 months following the devastating earthquake. Support Hopital Adventiste by ordering your copy today! This article by Columbian Newspaper staff writer Tom Vogt was featured on the anniversary of last year's devastating earthquake in Haiti. It features stories of local Vancouver volunteers including our own and several of my photographs from the trip. Click here to check it out. 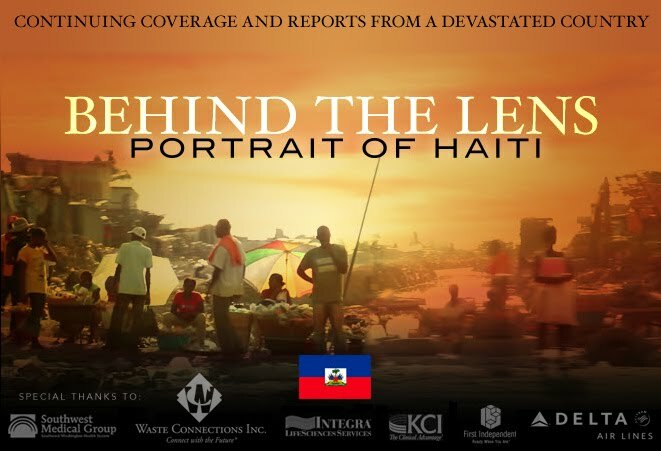 KGW just did an interview with Allen and Cassie Gabriel bringing the issue of Haiti back into the media spotlight. Click here to check it out. Fox 12 Oregon just recently did an awesome story about the SW Medical Group Plastic Surgery Team in Haiti. Click the picture below to check it out. Your help and generosity is crucial to the survival of the amazing program at Hospital Adventiste. If you are interested in donating or volunteering directly, please go to haitibones.org and click on the tabs on the right. The rewards are seen in the faces of ordinary Haitians who are struggling each and every day. Thanks for your interest.